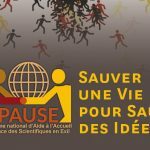 Daniel Munier, SAR’s Acting Director of Advocacy, will participate in the plenary “Which freedom of research to defend?” as part of an international forum, Freedom of Research, hosted by Université Paris Diderot-Paris 7, in France. 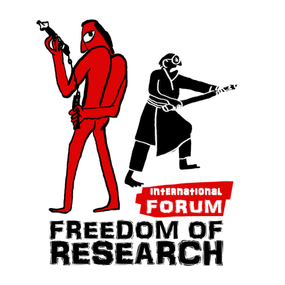 In light of recent attacks against the freedom of research, we seek to reassess and reflect on the right to this freedom today, in a global context. Taking into account the punctual, tendential or structural nature of the attacks against this right, we focus on its current situation, its personal and collective practices as well as the networks and associations supporting it, and its political prospects. We adopt an encompassing, grounds-up and agonistic understanding of the freedom of research, which includes forms of journalistic, artistic and civic inquiry as well as academic research, situating it in a web of social, political and economic interrelations, and stressing the importance of understanding it as a contested right and a tool in conflict rather than simply an entitlement supposedly guaranteed by any “non-authoritarian” State. Inviting scholars, artists, journalists and activists from diverse fields and countries, we seek, in large part through the exchange of experiences and efforts, to reflect collectively on a normative and politically motivated notion of freedom of research today. A series of recent political events underline the urgency of interrogating the state of freedom of research today: repression of Turkish academics; violence against US researchers working on the “Arab spring”; death threats against academics working on the peace process in Colombia; seizure of the documents of French researchers working on the question of terrorism; conviction of Italian researchers for having participated in demonstrations against the TGV line in Val di Susa; dismissal of US researchers following Occupy Wall Street… The “defense of freedom of research” is, in these cases, clearly embedded in a broader social context: a context of political conflicts and social tensions where academic institutions and social struggles coincide. Moreover the “research” whose freedom is to be defended must be understood in a broad sense: as the freedom to investigate, to engage in the production of knowledge, to speak publicly, and to mobilize, not only for academics but also for journalists, trade unionists, artists, activists and citizens. We thus consider the traditional notion of freedom of research to be insufficient in so far as it evokes primarily ideological oppositions and governmental repressions of freedom of expression. It understands the freedom of research as simply a constitutive part of our modern societies and interprets any attack against it as the sign of an authoritarian aberration. We propose to reflect rather on the critical, confrontational and political nature of the voices and inquiries of researchers, journalists, trade unionists, artists and activists. As such, this freedom is not a given whose continuity is to be ensured; it becomes an issue only in so far as it is exercised, connected to contention, opposition and conflict, to challenging the legitimacy of power structures and to demanding protection from prosecution. In its very core, the freedom of research is agonistic, and it engages democracy as to the capacity of its institutions and public spaces to stage political conflict, to foster and circulate critical inquiry and questioning, and to protect the citizens that exercise their freedom of research. The 16th to the 18th of November 2017, we organize an international forum in Paris featuring plenary sessions, parallel round-table discussions and documentaries, bringing together academics as well as other actors, in particular, journalists, unionists, associations and artists. Three objectives will structure our discussions. I) Understand and assess the state of the freedom of research today in a global context: the history of the right to the freedom of research, economic and political conditions and constraints, relations and tensions with the State as well as guarantees and protections, exercise and risks in current political conflicts, and the danger of current sclerotic dynamics due to vested and corporative interests. II) Share, explore and map personal and collective practices that both heavily depend on and invigorate the freedom of research – practices in relation to which this right is crucial –, as well as political, activist and solidarity-based efforts to uphold, support and protect it and the citizens exercising it. III) Outline and evaluate the political prospects of the freedom of research today, based on its difficulties and challenges in different local, national and geopolitical contexts, the networks and effective rights in place, the practices and experiences of different actors, and its political, economic and social horizons, in order to develop a normative and politically motivated notion of the freedom of research today.